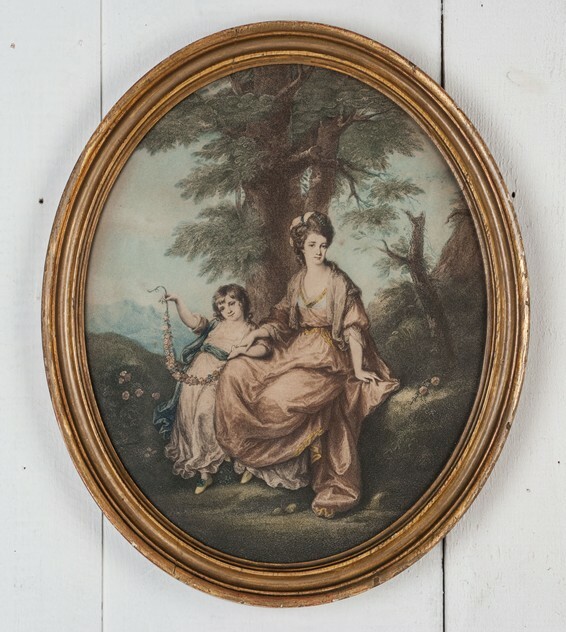 Stipple engraving after the work by Angelica Kaufmann RA, this print published late in the 19th century and within a frame of that period. 15 in x 12.5 in. English circa 1900.